You see failed vocabulary in the adult world so often, and it’s often because once you reach a certain age you’re kind of embarrassed to go look up a word if you don’t know what it means. When you start writing a picture book, you have to write a manuscript that has enough language to prompt the illustrator to get his or her gears running, but then you end up having to cut it out because you don’t want any of the language to be redundant to the pictures that are being drawn. My first novel took almost six years to sell and was rejected 37 times in the interim, and then finally sold for the smallest amount of money my literary agent had ever negotiated for a work of fiction. I like writing for movies. It’s nice to be alone working on fiction in your room, and then it’s nice to be in a room with a bunch of people working on a movie. I like to give people novels I think they would like, on no particular occasion – just when we’re in a bookstore together. I like to receive reference books on my birthday. I didn’t like books where people played on a sports team and won a bunch of games, or went to summer camp and had a wonderful time. I really liked a book where a witch might cut a child’s head off or a pack of angry dogs might burst through a door and terrorize a family. I can’t think of a story that doesn’t have something terrible in it. Otherwise, it’s dull. So when I embarked into the world of picture books, my first thought was to do something about the dark. ‘The Long Goodbye’ is one book I like to read over and over again, and it was an enormous inspiration for ‘All The Wrong Questions’. I write longhand on legal pads, about half at home and half in cafes. I drink a lot of water and eat a lot of raw carrots. I think books that are meant to be read in the nighttime ought to confront the very fears that we’re trying to think about. I listen to Morricone, the famed Italian film composer, while I’m working. I kind of always think my work is unfilmable, and when I meet people who are interested in filming it, I’m always stunned. Any playlist without Prince is no friend of mine. 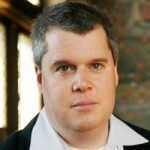 Daniel Handler was born in San Francisco, California. He is an American novelist and screenwriter. He has published adult novels under his real name; his first book The Basic Eight was rejected by many publishers for its dark subject matter. His most recent book is We Are Pirates. Watch Your Mouth, his second novel, was completed before The Basic Eight was published. Handler was involved in the screenwriting process for the film Lemony Snicket's A Series of Unfortunate Events, but was ultimately removed from the project.